Adjustable nylon wrist lanyard with antimicrobial treatment. Badge holders with microperforated laser/inkjet inserts. 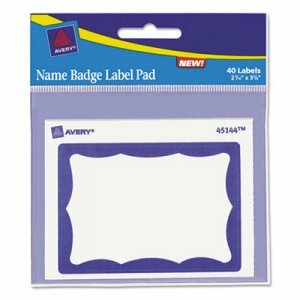 Replacement badge holders for Durable® Card Holder Sets. Plastic retractable name badge reel with metal belt/pocket clip and clear badge holder. Convex name badge with hinged top.